Roots Sustainable Agricultural Technologies Ltd (ASX:ROO) has executed a third sale and installation agreement for a state-of-the-art greenhouse project with Dagan Agricultural Automation, its exclusive distribution partner in China. 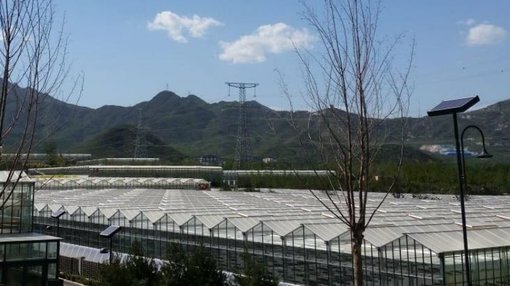 The $64,400 sale involves the installation of Roots’ proprietary Root Zone Temperature Optimisation (RZTO) technology in two-thirds of a one-hectare greenhouse in the Guiyang district of Guizhou. This installation represents Roots’ third agricultural sale to Dagan and follows substantial orders of $323,000 and $278,000 respectively. Roots’ heating and cooling systems will be used to stabilise the root temperature of various vegetable crops within the greenhouse, including tomatoes and lettuce. Under the agreement, Roots will receive 70% of the sale payment upon shipment of equipment with the remainder payable upon installation completion. Installation will be overseen by Roots’ technical team and is expected to be completed in May 2019. Building sales in this high demand global market is a strategic focus for Roots and on this note chief executive and co-founder Dr Sharon Devir said, “Roots continues to build momentum in the world’s largest agricultural market, securing our second RZTO installation order from Dagan this quarter. “It highlights the strength of our partnership with one of the world’s leading ag-tech integrators, as well as the significant opportunity for our heating and cooling technology in a market that produces more than 50% of global vegetable production. Importantly, a successful pilot is expected to lead to a larger installation phase for this particular project and further sales activity in the future. The group’s patented root zone technology has already been successful in increasing crop yield and quality on numerous crops under varying conditions, while also considerably reducing heating and cooling costs for growers. Consequently, the technology provides growers with economic benefits in terms of reducing overheads, as well as providing superior returns from better crop yields.